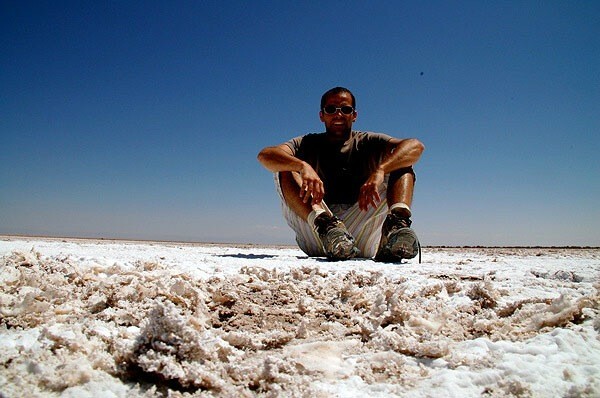 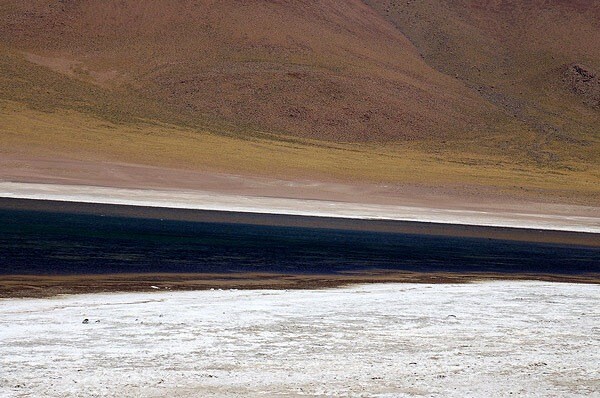 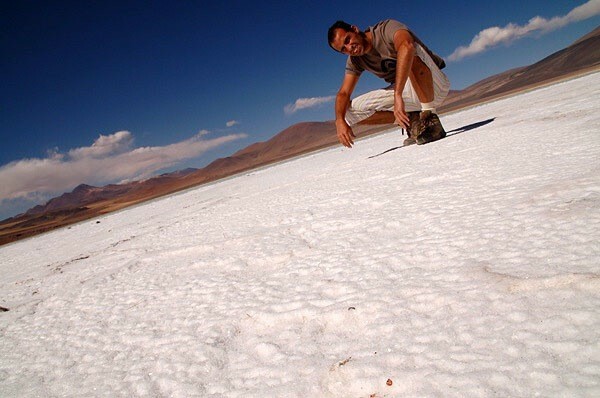 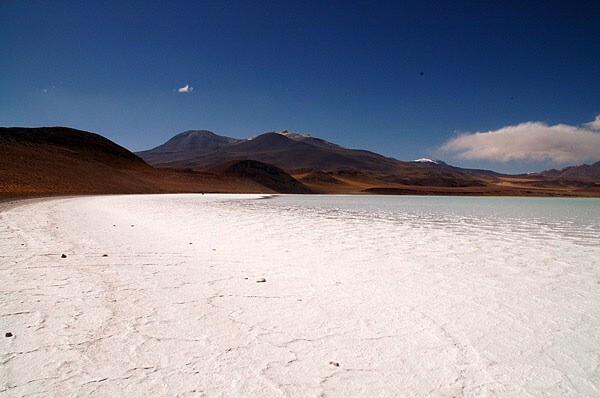 Salar de Atacama is the largest salt flat in Chile. 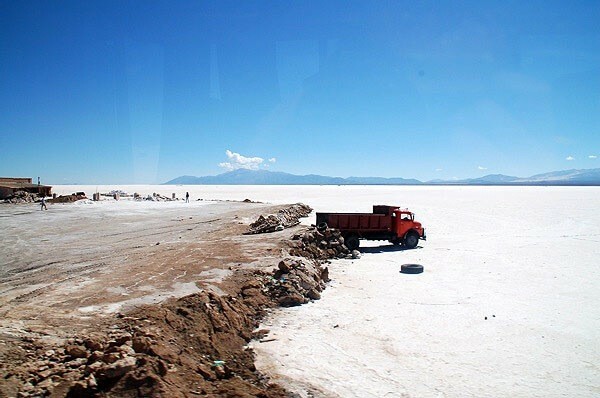 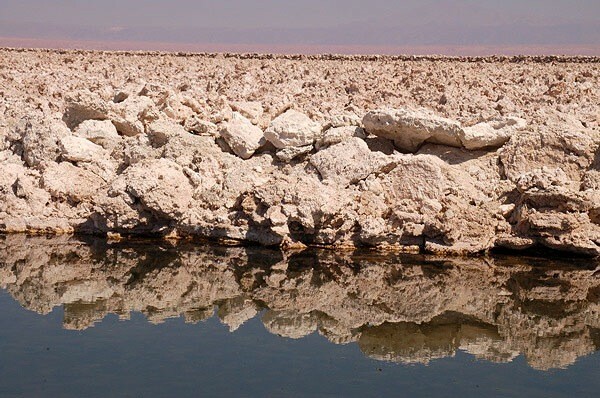 It is located 55 kmsouth of San Pedro de Atacama, is surrounded by mountains and has no drainage outlets. 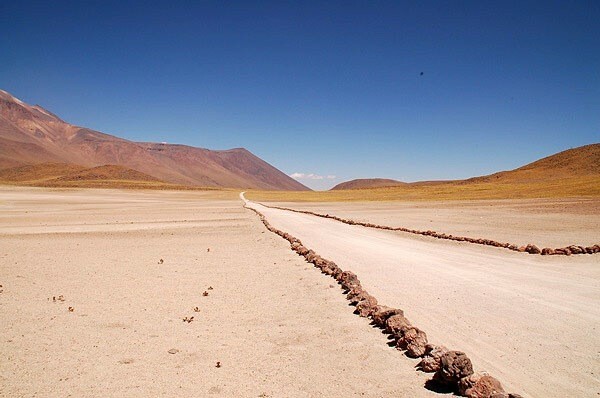 To the east is enclosed by the main chain of the Andes, while to the west lies a secondary mountain range of the Andes called Cordillera de Domeyko. 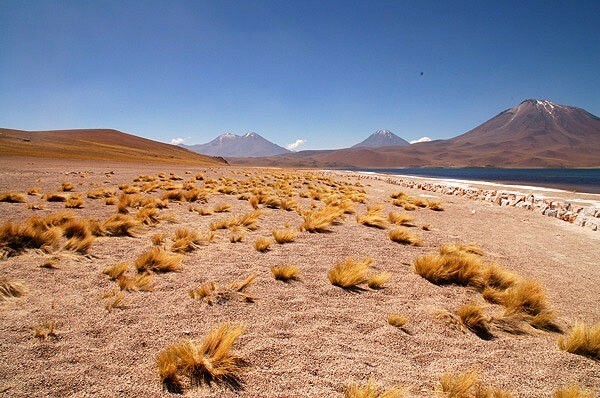 Large volcanoes dominate the landscape, including the Licancabur, Acamarachi, Aguas Calientes and the Láscar. 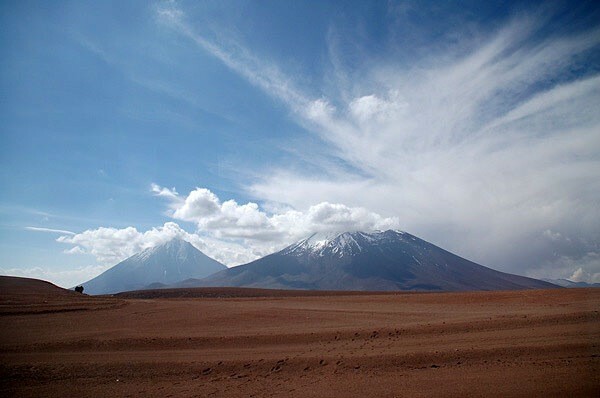 The latter is one of the most active volcanoes in Chile. 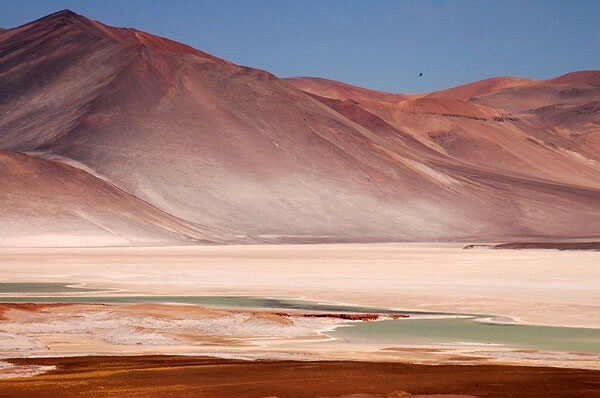 All of them are located along the eastern side of the Salar de Atacama, forming a generally north-south trending line of volcanoes that separate it from smaller endorheic basins.